A rather unusual looking knife sharpener which resembles a cooking pot upon first glance! The device itself is fairly small, and in theory pretty simple to use. That’s hardly the best part about it though! Keep reading to find out what makes this such a popular seller. 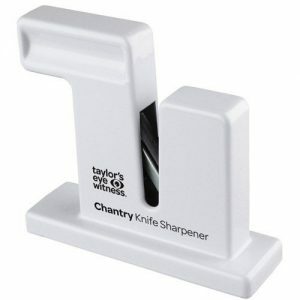 The Chantry Classic is one of the first ever pull through sharpeners. Originally designed in 1970, this has now found its place in a New York museum display as an antique. Read the pros, cons, FAQs and a final recommendation before you buy! 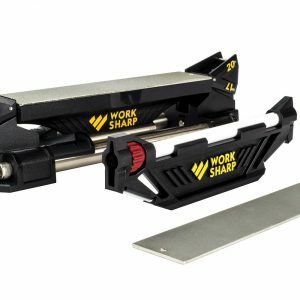 The “v” style sharpeners are definitely gaining more popularity and appeal to those who are new to knife sharpening. 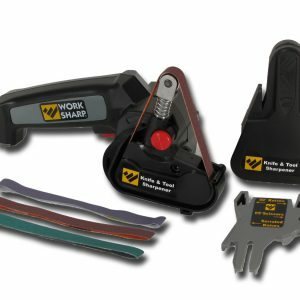 The fact that most of these v types are easy to setup, use and learn, is in itself a huge selling point. However, there are subtle differences between each v type that make some better than others. 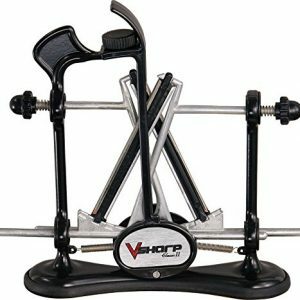 Scroll down to check out the pros and cons of the V Sharp Warthog Knife Sharpener! 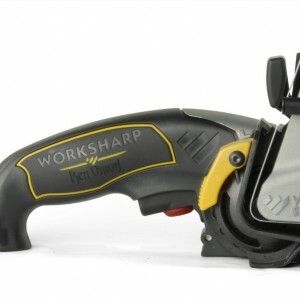 This is one of the newer sharpeners recently released from Work Sharp. 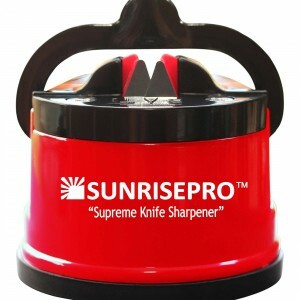 The objective of this sharpener is to provide a complete sharpening solution for every knife you own. 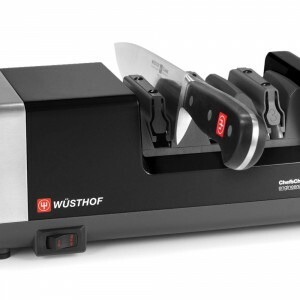 But does it satisfy this objective, or is this just another knife sharpener which falls short of expectations? Keep reading to find out! I’ve heard of 3 stage sharpeners, but never 4. 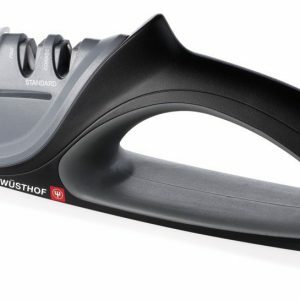 So, how does this non electric knife sharpener fare when put to the test? Find out by reading the pros and cons below!